Captain Joel is a native Floridian and resident to Marathon and the Florida Keys. He has fished and hunted the globe from Africa to Argentina, Australia to Hawaii, Costa Rica to Canada, Bahamas to Mexico, Virgin Islands to Puerto Rico along with many other areas. After his vast experience of different lands and waters, he is convinced the world’s most epic fishing adventures are right here in Marathon and the Florida Keys waters! Let Captain Joel prove to you that this is unequivocally the true sportsman’s epicenter! Full Time Full Service US Coast Guard licensed, Merchant Marine and Charter Captain at Florida Keys Fisheries Market and Marina Marathon, Florida Keys. Certified in CPR and advanced life saving. 10 year member of the South Shore Chamber of Commerce. Studied in child well fare and psychology for almost 20 years with Service Corporation International in Jacksonville, Fl. Ft. Pierce, Fl. and Tampa Fl. with focus on childhood grief issues and grief counseling. Camp Counselor with Florida Fish and Wildlife Commissions Youth Camps in Ocala Fl. and Okeechobee Fl. Camp Counselor at Camp Challenge Youth Camp in Orlando, Fl. Volunteer at the Yerrid Foundation Kids fishing Derby to benefit Pediatric Cancer St. Pete,Fl. 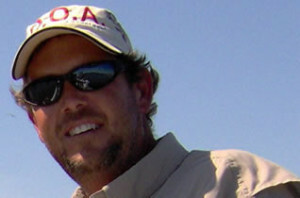 Director of The Phil Pegley Black Tip Shark Shootout to benefit Pediatric Cancer Foundation, Tampa, Fl. 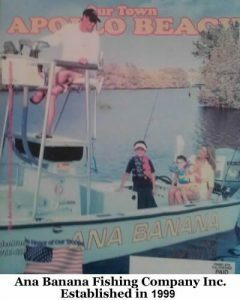 Director of Ana Banana kids Fishing Derby with The Pediatric Cancer Foundation Ruskin, Fl. Director of Fishing for a Cure, to benefit kids with hearing disabilities, promoting the Cochlear implant procedure, which helps deaf children hear through vibration. Marketing Director and Captain Co-Host of Hook the Future Fishing Show, where we take kids fishing all around the world and they get to be the stars on the show. We aired in 35 states, 3 Canadian Province’s, and several other countries and had a potential viewership audience of over 100 million viewers. It was the fifth largest fishing show in the world. Host of several fishing shows that target kids fishing such as Captain Joel’s Fishing Holes, South Shore Fishing Connection, and Simply Banana’s Fishing Show. Winner of the Lucky Strike Award by the Mercury Grand Slam and the Yerrid Foundation for exemplifying community leadership and professional ethics. Winner of several Tournaments, such as 1st place King of the Beach single engine Division, 1st place for two years in the Black Tip Shark Shootout while fishing with Hall of Fame legend Wade Boggs, and many other tournament wins. Co-creator of two published kids fishing books called I love to Fish, and I love to Fish Cobia Camp Fire. Volunteer Captain of Wounded Warriors in Action with Col. John McDaniel taking wounded warriors hunting and fishing. Apollo Beach, Fl. Volunteer Captain at My Warriors Place fishing with Gold Star Parents and Children who have lost their loved ones in battle. Ruskin, Fl. Volunteer Captain in the TAMPCO annual tournaments benefiting wounded warriors. Tampa,Fl. Participant in the Tighten the Drag Foundation benefiting paralyzed children and children with mobile disabilities. Tampa, Fl. Participant in Hooked on Hope to breast cancer awareness. St. Pete, Fl. Participant in the Johnny Ferlitta tournament to benefit childhood cancer. Tampa, Fl. Participant in the Outback Steak House tournament benefiting childhood cancer. St. Pete, Fl. Communicated and learned lessons on child charities with Henry Landsworth holocaust survivor and founder of Give Kids the World, Orlando, Fl. Volunteer with Make a Wish Foundation, St. Pete, Fl. Volunteer Captain and winner of the T.A. Mahoney’s Boys and Girls Club of America. Tampa, Fl. Volunteer at the Bolesta Center assisting children with hearing impairments. Tampa, Fl. Volunteer at Boy Scouts and Girl Scouts of america catfish tournaments, Tampa, Fl. Volunteer during the holidays with St. Judes Childrens Hostpital cheering kids up. Tampa, Fl. Volunteer at Pasco/Hernando County Community College Fund Charity Tournament, raising college funds to educate less fortunate young adults. New Port Richey Fl. Been around the world: Below are the counties I’ve fished. South Africa, Australia, Argentina, Chile, Brazil, Costa Rica, Panama, Nicaragua, Honduras, Mexico, Canada, Belize, British Virgin Islands, Bahamas, Puerto Rico, New Zealand, many Caribbean Islands, and 36 states in the US including Hawaii. Yes, I’ve traveled and volunteered myself into near bankruptcy, but I wouldn’t change a thing.